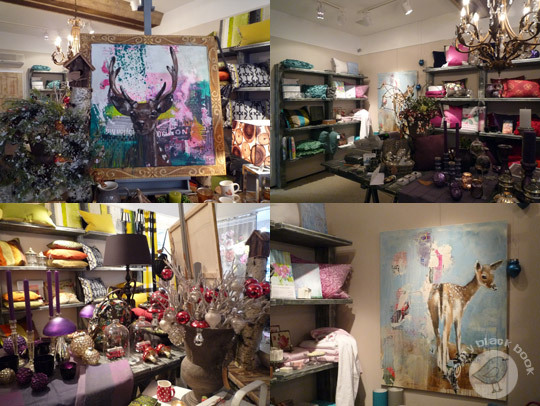 A wonderful store with decoration items, original artworks as well as fabrics and wallpapers that glamorize your home with that special je ne sais quoi. 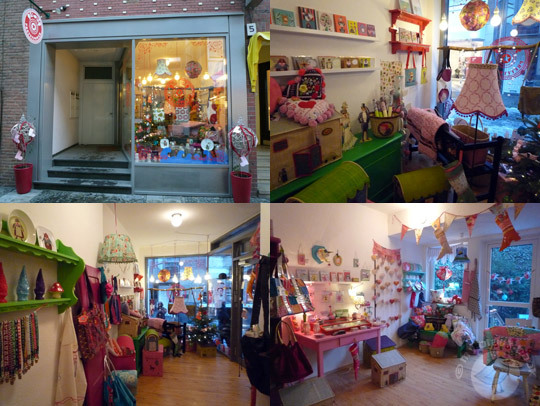 Lovely fancy and colorful items for the little and big ones that simply make you happy. 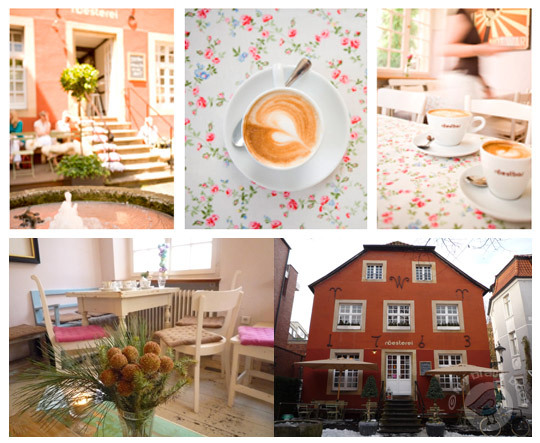 A cozy coffee place with an interesting shabby chic decor for sipping coffee or tea and enjoying delicious cakes. 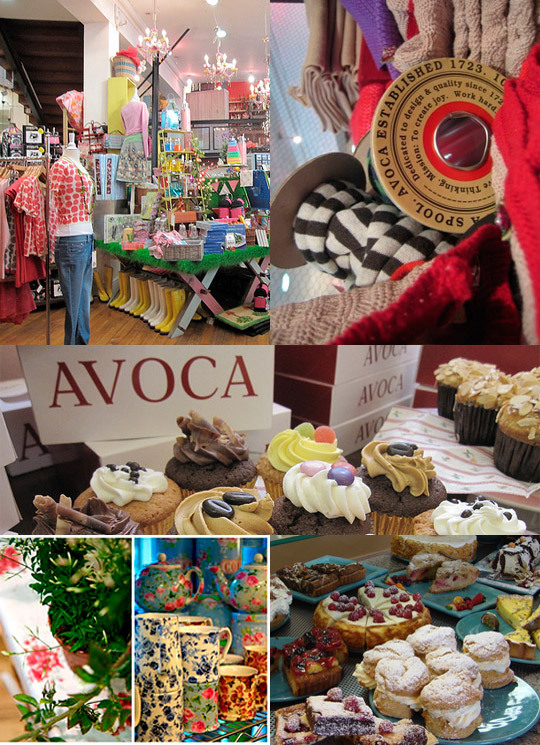 The 7 level mini- department store Avoca is described as ‘the most exciting new retail development in Dublin for years’. 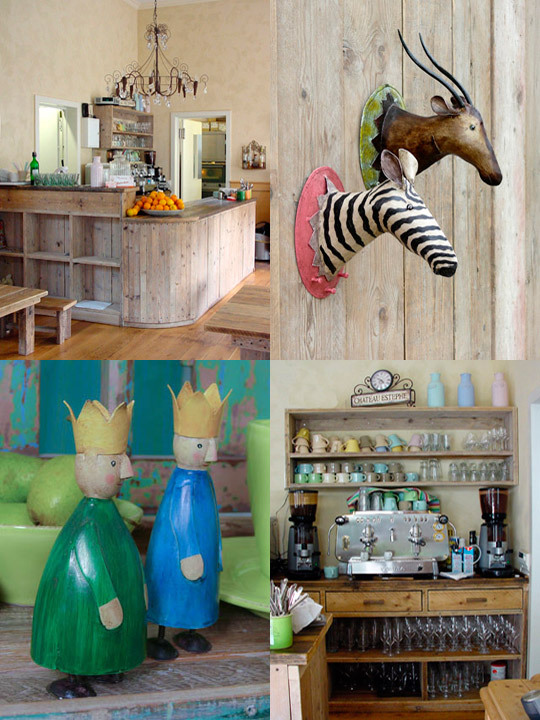 Awash with colour and fresh thinking, it also boasts a light-filled, award-winning Cafe and extensive foodhall. Even a secret rooftop garden. Whether looking for an unusual gift, seeking out that exclusive design or simply browsing for inspiration, Avoca is a very special shopping experience. From fashion to home furnishings, kidswear to toys, aromatics to jewellery, fresh baking to gourmet foods – this is a showcase of the best of an innovative new Ireland. The flagship store is located in the heart of Dublin, just off Grafton Street, across from Trinity College. 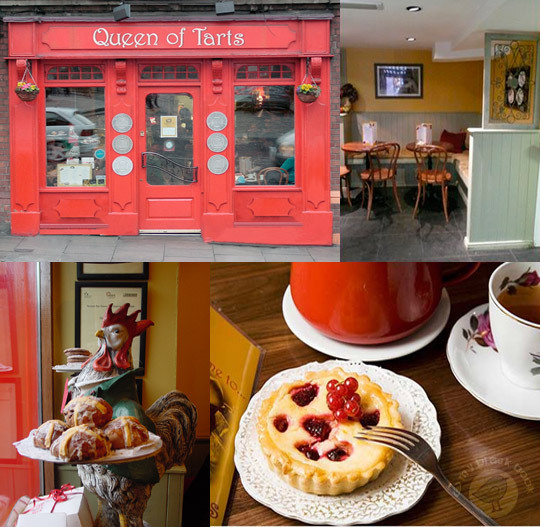 Queen of Tarts create a homely and welcoming space which offered one of the best breakfasts and weekend brunch in Dublin, with delicious cakes, scones and brownies. I discovered Linnea of Sweden during my vacation on the Channel Island Jersey. 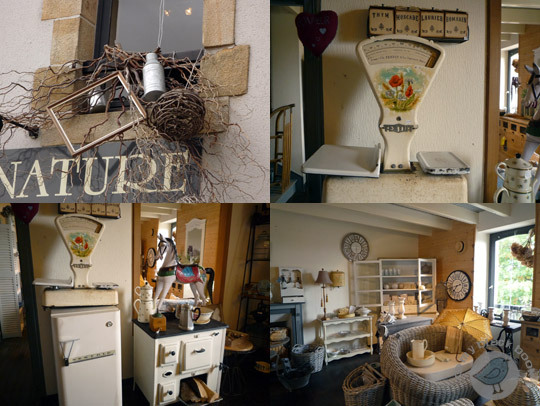 The home decoration store is packed with loveliness inspired by pure Scandinavian design. 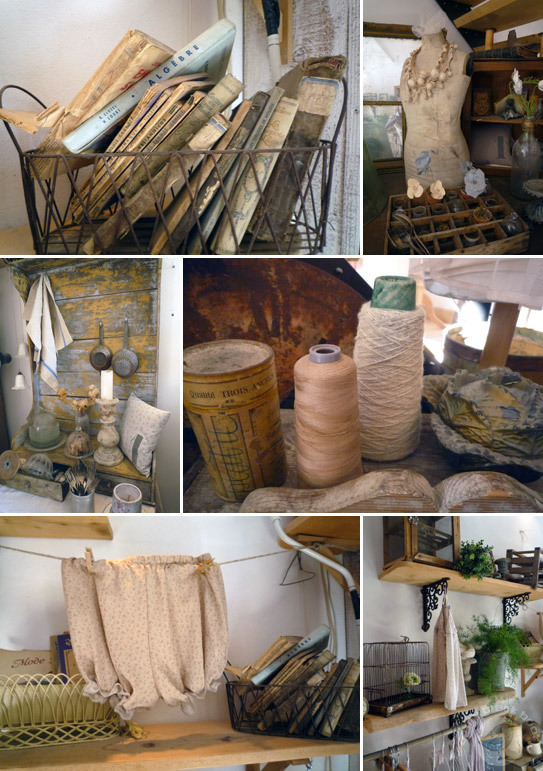 Wonderful items like cushions, tableware, furniture, fabric s, etc. are tastefully displayed. Hard to resist. 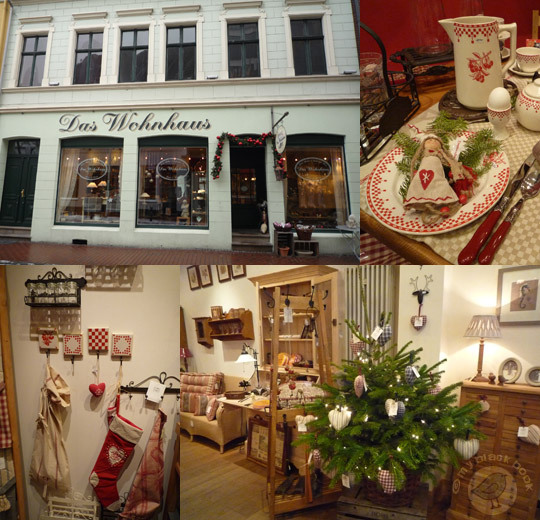 Wonderful florist with home accessoires and flea market stuff on the 1st floor. 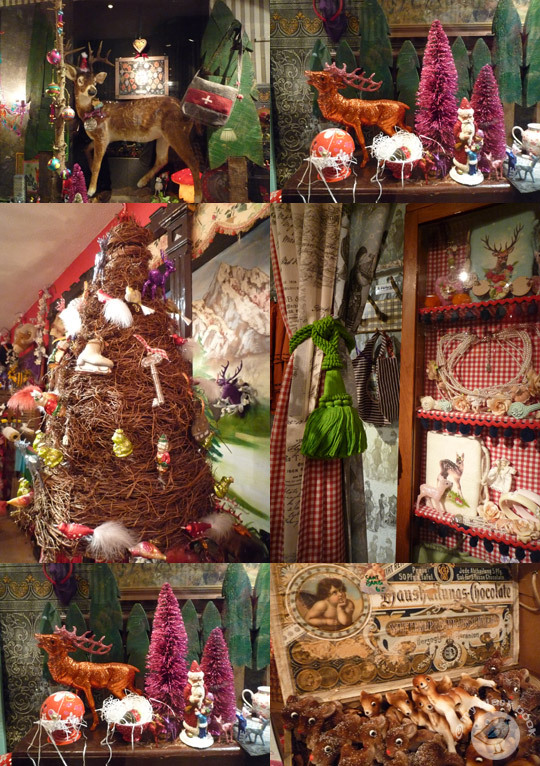 Perfect for lovely flower arrangements and original vintage stuff. 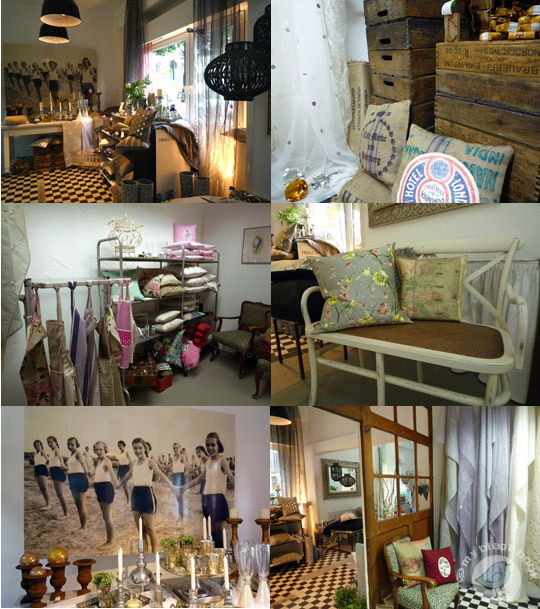 Lovely store filled with vintage treasures and old fashioned clothes.